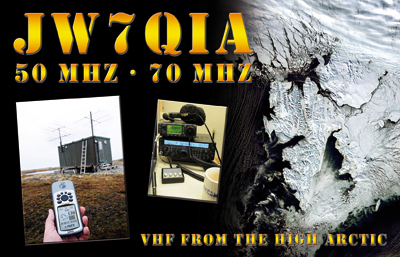 My friend Peter LA7QIA is once again active from JW. He is qrv on 6M from June 27th till July 1st. The qth is the JW7SIX beacon qth in JQ68tb. He is using 100w and a 3 element yagi. Peter had planned to use a 7 element lfa antenna, but it was delayed in the mail. QSL via homecall.